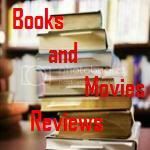 Books and Movies: Reviews: Book "A Series of Timeless Quotes" by Jack H.
Book "A Series of Timeless Quotes" by Jack H.
My Review: this is not just another book full of quotes selected by the author. This book provides a major learning opportunity, as the author provides a one or two paragraph biographical summary about the author of the quote, citing when he/she lived, where, his/her major contributions and achievements. I learned so much reading this book! And the best part is that the quotes are really inspirational! A Quotes Book cannot get better than this. The author nailed this book with this incredible format of presenting the quotes. 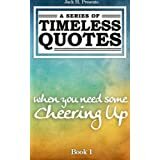 Very enjoyable, you will read multiple times and every time you will sense something different that will make you think about the true meaning of the quote, considering the timing when it was created and the circumstances. I highly recommend this book to the permanent library of all readers that appreciate a very nice collection of quotes to cheer anyone up with personal details on the author of each and every quote (with a couple of exceptions, when the author of the quote is unknown and Jack request that if any reader has any clue about the author of the quote, to notify him, so he can add the information to his notes).